Portobello Road Gin is expanding its range with the launch of a navy strength gin made with English sea salt. Portobello Road Gin Navy Strength has been crafted by the distiller and gin historian, Jake F Burger and is available for both on and off-trade from July. The nautical expression is a variation on Portobello Road Gin’s original 171 London Dry Gin, which launched in 2011. Bottled at 57.1% ABV, it is distilled with English-grown wheat and the Portobello Road Gin’s recipe of nine time honoured botanicals. English sea salt is added at the end of the distillation process. Portobello Road Gin will donate a percentage of proceeds from the signature cocktail sales to ocean welfare charities, as well as proportion of proceeds of online sales of bottles of navy strength from the Portobello Road Gin and The Distillery website. 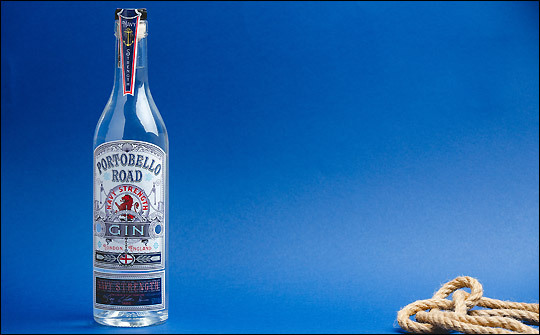 Portobello Road Gin Navy Strength is the second gin within its core product range following the success of its signature 171 London Dry, which launched in 2011. They have also released a number of limited edition blends that include: an asparagus gin; the world’s first ‘Pechuga Gin’; and a ‘Local Heroes’ collaboration with three-star michelin star chef and owner of The Ledbury, Brett Graham.